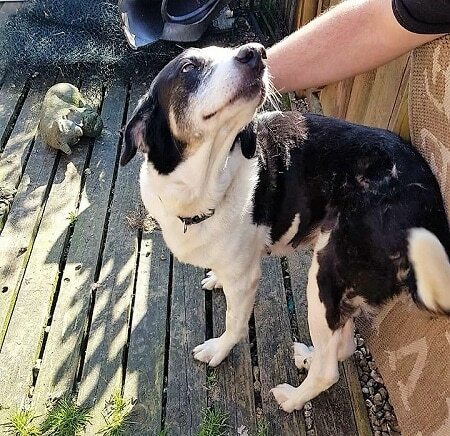 This beautiful lady is called Paloma, one of Leash of Life’s golden oldies and she is now looking for a quiet, retirement home, locally preferred, where she can go for gentle walks and sunbathe. She is currently being cared for in a foster home in Chard, Somerset. 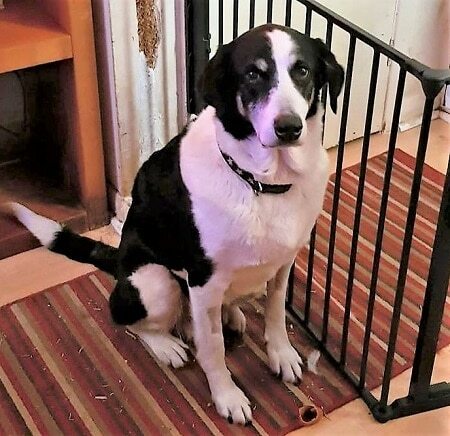 Paloma is a white and black, large Crossbreed and is around 11/12 years old. 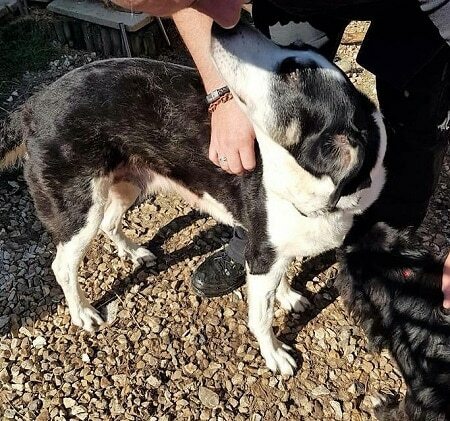 She is an extremely gentle girl who loves the company of humans and, although she is now living happily with a lot of other dogs, she could quite easily live as an only dog. Paloma is somewhat larger than maybe some retired people who want a companion dog would normally choose, but she would be a perfect choice. She is fully house-trained, good with other dogs, will let cats walk over her and is fine around children. She really is the most loving lady. Paloma is quite happy going for short walks and doesn’t pull on the lead. She loves lazing around and is happy in her bed, and never trying to get on the furniture. She also loves sunbathing. Paloma is spayed but is given to having phantom pregnancies and will typically take toys to her bed as pretend pups. There is a possibility that this could be brought under control with meds. She has low level Leishmania and is on medication which is very low cost. She has no symptoms and it’s very unlikely to cause any problems. 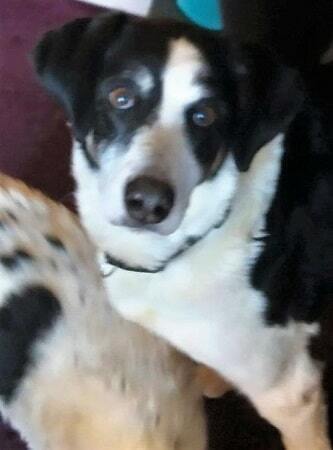 Please mention that you saw Paloma on the Oldies Club website.